Premier Football specialises in football fan merchandise, including on-field official jerseys, off-field apparel, authentic name & number printing, casual-wear and souvenirs. 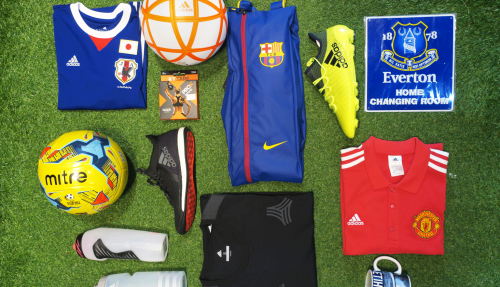 We also carry a wide range of apparel and equipment for the football player, such as team wear, boots, shinguards and movement support. Visit us for the complete football experience.